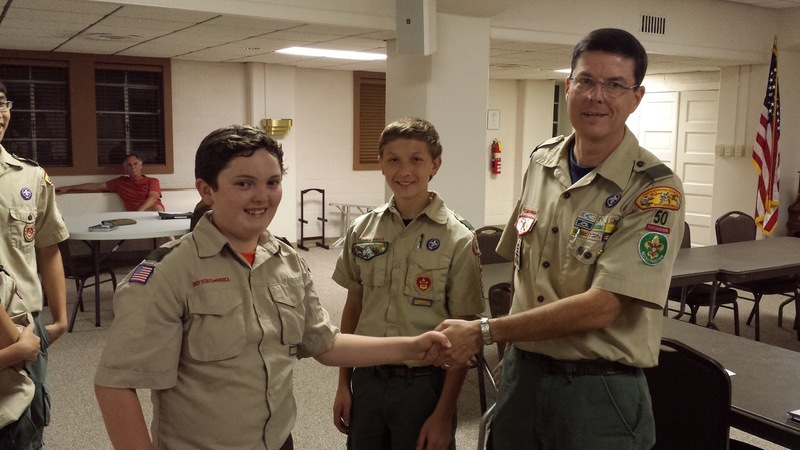 After the meeting opening, Anonymous Patrol Leader Ethan and members of his patrol presented the program in the first of several troop meetings covering the requirements of Cooking Merit Badge. 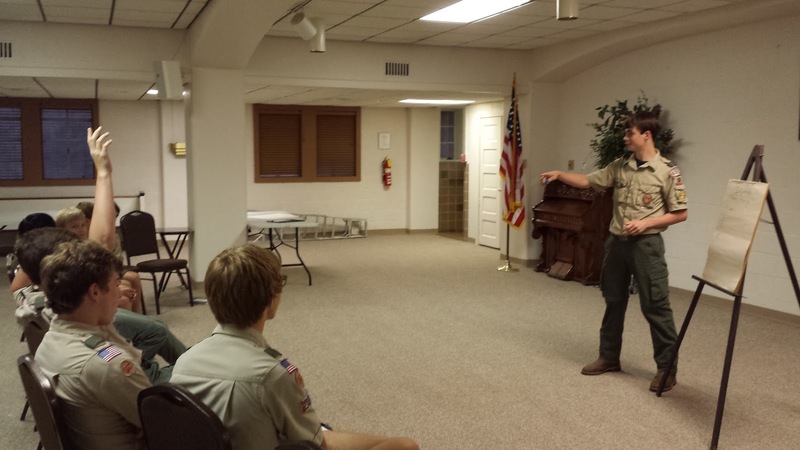 Patrol members presented information and led discussions about the types of injuries that could be suffered and illnesses that could be acquired as part of outdoor meal preparation. 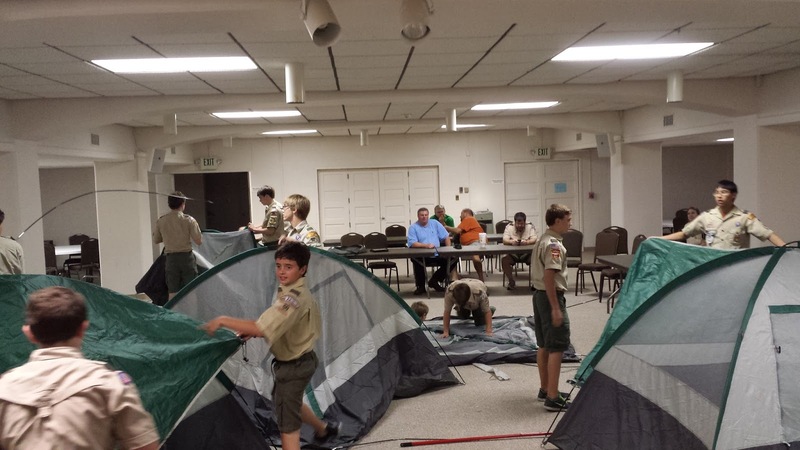 After the patrol's presentation, Scouts inspected the troop's inventory of tents in preparation for its upcoming hiking and fishing campout later this month.